There's a specific reason why Bitcoin caused the cryptocurrency market to lose $22 billion in roughly 24 hours. One week ago, we reported at RadarZero that the cryptocurrency market had jumped 40 billion dollars over a 2 day period. The reason for the spike in the market was attributed to the daily trading volume improving in most currencies and an unforeseen volume rise in Bitcoin and Tether, which has brought the market back to life. Unfortunately, the hot streak and positive trend didn't last very long. It's been reported by CCN that the crypto market has dropped $22 billion over the last 24 hours and Bitcoin lost roughly 5 percent of its overall value and Ether dropped 10 percent. What Caused the 22 Billion Dollar Decrease in the Cryptocurrency Market? A drop of this magnitude isn't that Earth-shattering, especially since the market dropped 7 percent overnight just a few weeks ago. Bitcoin and the rest of the market have been on a recent surge, so losing $22 billion in 24 hours is a hit, but the market is still ahead of the curve. Most of the other cryptocurrencies in the market were influenced by Bitcoin's drop from $6,700 to $6,400 and lost some value as a result. 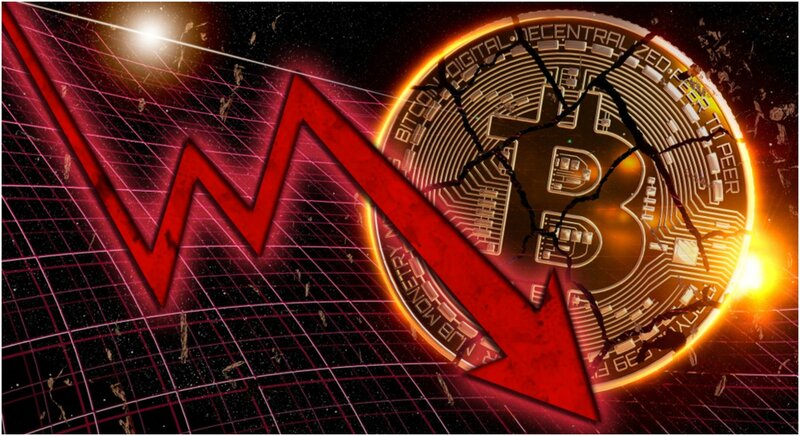 However, analysts are claiming that the crypto market was inevitably headed for a major drop because of the low volume of Bitcoin and other big assets this week. Last week, the volume of Bitcoin in the market was around $5 billion after dipping below $3.5 billion. At the start of this week, Bitcoin's volume is back down to roughly $3.9 billion, so a crash was inevitable. It's also important to note that Tether'svalue rose from $1.6 billion to $3 billion. A big spike in Tether's volume like that tends to signify that the market will undergo some big changes and traders often move from major digital assets to fiat currencies with the expectation that a big drop is going to hit the market. On paper, Bitcoin's value could rebound rather quickly back to the $6,700 range it was holding at for days on end, but it's also plausible that Bitcoin's price could drop to $6,000 over the next twenty-four hours.